Amy Hollyfield is the Associate Editor for PolitiFact and the Deputy Managing Editor/Politics & Features for the Tampa Bay Times, overseeing national political coverage, including the Times' bureau in Washington, and PolitiFact, PunditFact and PolitiFact Florida. PolitiFact was awarded the 2009 Pulitzer Prize for national reporting. 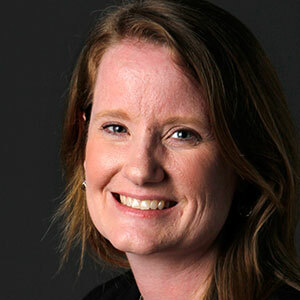 In addition, Amy oversees features news, Perspective and Floridian magazine. Amy has worked at the Times for 20 years, after previous stints at the Miami Herald and Florida Today. "Putin issues international arrest warrant for Soros"
"Law passed: All child support in the United States will end by beginning of 2018." "The cost-sharing reductions (were) a gift (that) they gave the insurance companies." "U.S. comedian Kevin Hart in critical condition after gory car crash." "At least 7 dead and 48 wounded in terror attack and Mayor of London says there is ‘no reason to be alarmed!’ "
Says John Quincy Adams said, "If your actions inspire others to dream more, learn more, do more, and become more, you are a leader." Before the presidential campaign, "I didn't know Steve (Bannon)." "It is unusual" for a White House official like former National Security Adviser Susan Rice to make unmasking requests. "I've won awards on environmental protection." PolitiFact regularly rated John McCain on the Truth-O-Meter since 2008. By Angie Drobnic Holan. Published on Sunday, August 26th, 2018 at 3:55 p.m. Even George Washington had to fight fake news. Here's the story. By Angie Drobnic Holan. Published on Monday, July 2nd, 2018 at 3:10 p.m.
We look at the accuracy at some of the Oscar nominees for best picture. By Jon Greenberg, Angie Drobnic Holan, John Kruzel. Published on Friday, March 2nd, 2018 at 10:20 a.m. Since our launch in 2007, we’ve received many questions about how we choose facts to check, how we stay nonpartisan, how we go about fact-checking and other topics. This document attempts to answer those questions and many more. By Angie Drobnic Holan. Published on Monday, February 12th, 2018 at 12:00 p.m.
Fueling our most-clicked fact-checks was an unfounded claim about massive voter fraud in 2008 and a misleading statement from Trump that pre-existing conditions were included in the GOP health care bill. But it wasn’t all politics this year. In September, Florida was menaced by Hurricane Irma and our story debunking myths about hurricane preparedness also made the list. By Allison Graves, Amy Sherman. Published on Thursday, December 28th, 2017 at 9:56 a.m.
During President Donald Trump’s first year in office, nothing drew eyeballs to our site quite like the president’s words. By John Kruzel. Published on Wednesday, December 27th, 2017 at 6:56 a.m.
By Louis Jacobson. Published on Tuesday, December 19th, 2017 at 2:46 p.m.
A look back at Lie of the Year, from 2009 to 2016. By Angie Drobnic Holan. Published on Tuesday, December 12th, 2017 at 6:30 a.m.
We present the 2017 Lie of the Year Readers’ Poll results. President Trump continually asserts that Russia’s meddling in the 2016 election is fake news, a hoax or a made-up story, even though there is widespread, bipartisan evidence to the contrary.